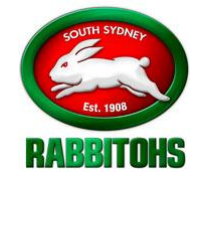 The South Sydney Rabbitohs have signed Robbie Rochow for the 2017 season. first grade debut for the Storm against the Roosters in 2010. Rochow also represented Country Origin in 2014. Rabbitohs Head Coach Michael Maguire is delighted to have Rochow joining the Club for the 2017 season. our Club next season,” Coach Maguire said. “He’s a very driven individual and wants to add to the culture we have built here at South Sydney. will be a valuable contributor to our team. perform at their best, be it at training or in games.